Welcome to the Otitis Media Resource Kit for Health Professionals survey. Your feedback is important to the ongoing delivery of this campaign. You will not be asked to identify yourself or your organisation when completing this survey and your responses will be treated in confidence. 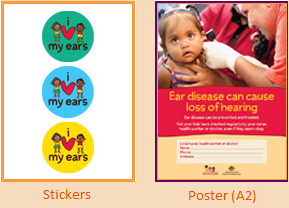 You may have received a copy of the Otitis Media Guidelines (Recommendations for Clinical Care Guidelines on the Management of Otitis Media in Aboriginal and Torres Strait Islander Populations) with your Resource Kit. Please note that this publication will not be evaluated within this survey. * 1. Have you used the Otitis Media Resource Kit for Health Professionals?